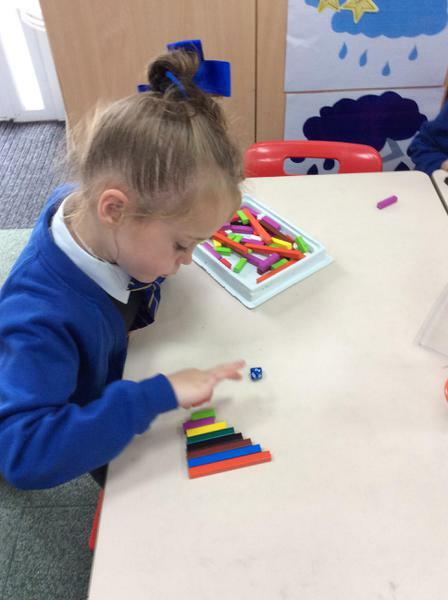 We're learning all about number this half term and have been focusing on step counting (counting in 2s, 5s and 10s). 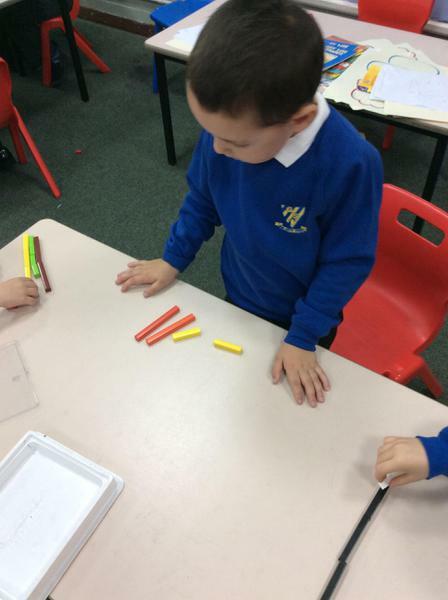 We're starting to reason and explain how we have solved problems using our understanding of number. 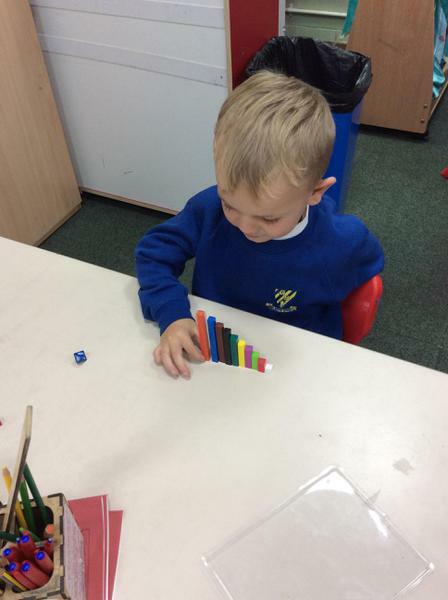 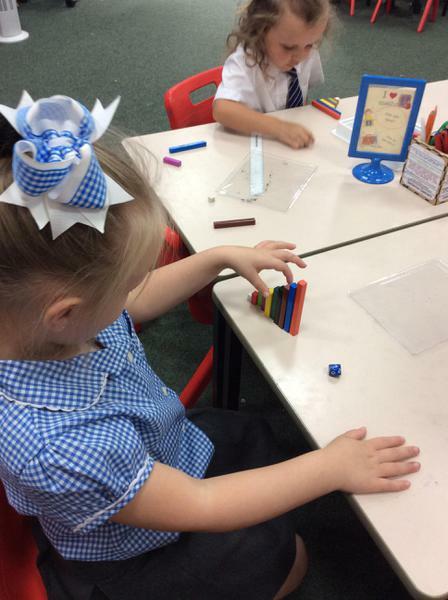 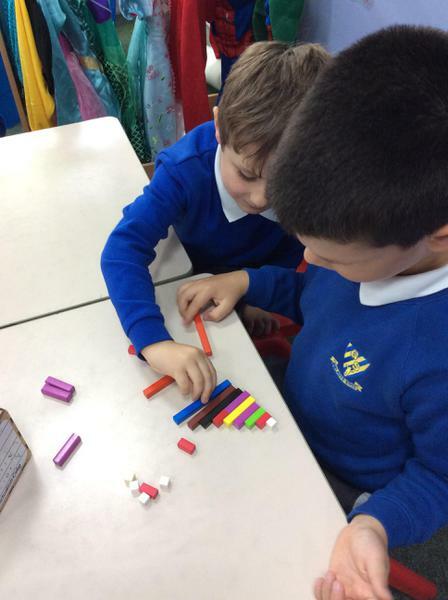 The children are starting to understand place value and are using dienes, numicon and singapore bars to make pictoral representations of single and double digit numbers. 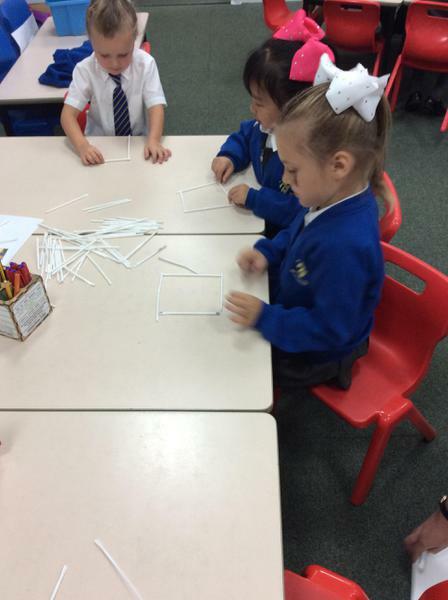 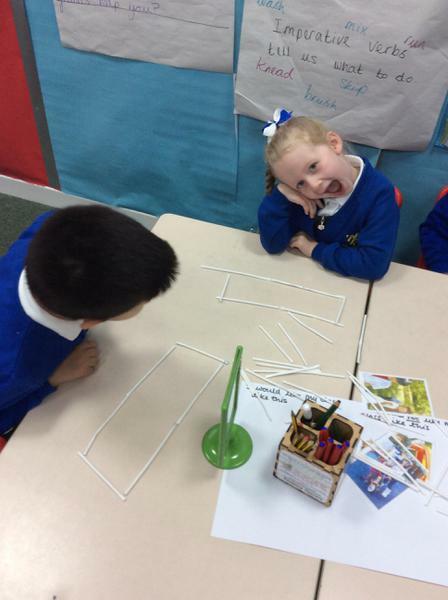 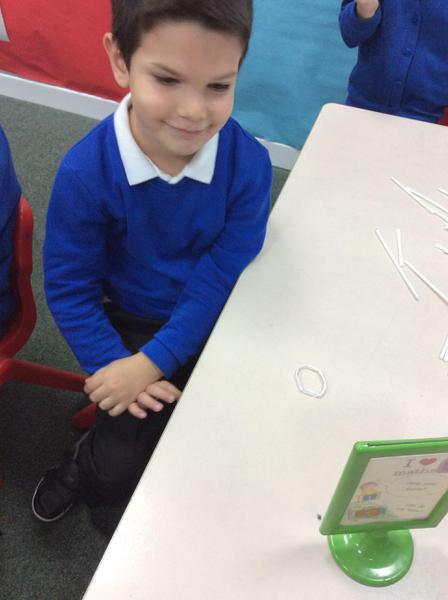 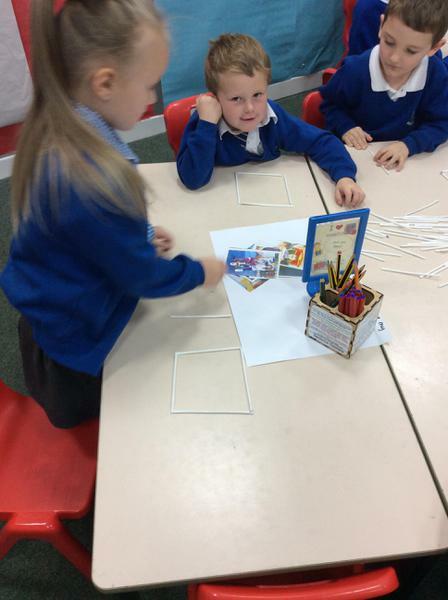 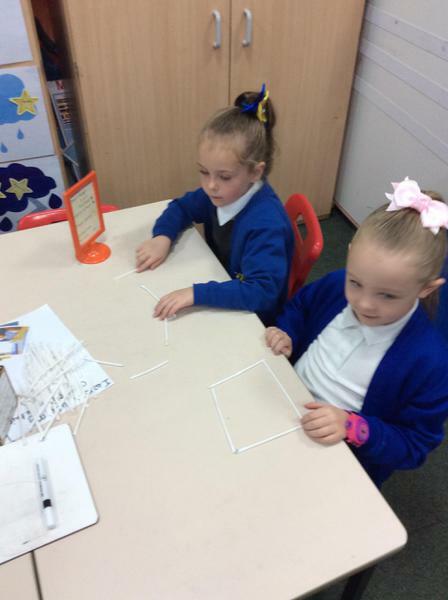 Exploring 2D shapes with straws.